Located in Hamilton County, Indiana, and home to about 30,000 residents, Westfield is a wonderful small town for a family vacation or to set up a new home. This Indiana city is home to Monon Trail with its water park activities and Cool Creek Park and Nature Center. Westfield offers a large selection of outdoor activities that make the best of the pretty Indiana summers. This town is also a great place to be when a dental emergency strikes. There are a large selection of great Westfield emergency dentists available to care for your dental problem. 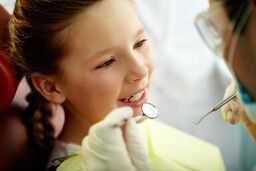 The Emergencydentistsusa.com website makes it a breeze to find a great new dentist without the hassle of wandering Westfield. You can log onto our convenient website and click on a dental office that interests you. Find information like office hours, insurances accepted, services offered, and even driving directions right on emergencydentistsusa.com. Choose the dentist that you want to visit and set up that first appointment today. Call our toll-free dentist finder hotline to speak with a caring agent who can help you to choose a new dentist right over the phone. Your agent can set up your first appointment and even give you driving directions if you need them. Remember to bring your dental insurance card and a photo ID with you to your first dental visit. Arrive early so that you can fill out the new patient paperwork and ask any questions that you might have for the dentist. Westfield is a wonderful place for a vacation with the whole family. It is also a great place to find a new emergency dentist. Scroll down to view our top dental choices below. Description: Providing dental care for children and adults, Krause Dental is a full-service family dental clinic. From teeth whitening to dental implants and veneers, this dental office provides all of the types of dental care that are important to you. Convenient office hours make it simple to get a great appointment on your schedule. Description: Creating beautiful smiles for over 30 years, Westfield Family Dental is a warm and caring dental office. Knowing how important your smile is to your overall happiness and health, Dr. Maize works hard to provide you with cosmetic and restorative care. Office hours are designed to make it simple for you to get a great appointment even in an emergency. Description: From general and cosmetic dentistry to orthodontics, Westfield Dental Center provides the caring dental atmosphere that makes you comfortable even during an emergency. Offering mouth guards, night guards, and oral cancer screenings, Westfield Dental Center brings you preventative care that makes sense. Emergency appointments are welcomed and office hours make it simple to get a great appointment. When tooth pain strikes, a visit to your emergency dentist is a great solution. Any tooth pain that lasts for more than an hour or two should be evaluated by a dental professional. Tooth pain that begins following an accident or a fall should be checked out at your nearest hospital emergency room or urgent care center. Follow up with your emergency dentist for problems that include an abscess, a cracked tooth, or even a broken tooth. The Indiana Dental Association website is a great place to check out your new dentist’s licensing and credentials. Just log onto the website and enter the dentist’s name into the search box. View licensing and credentialing documents right online from your own computer. You can also find this information by visiting your dentist’s office prior to your first appointment. Most dentists keep licensing on display for patients to view during their dental appointment.